The Félix Martin, s.j. Reading Room is open for researchers Monday through Friday between 9 a.m. and noon and between 1 and 5 p.m. It is a good idea to contact us in advance of your visit so we can bring out the documents you want to see. The Archive of the Jesuits in Canada is located in Maison Bellarmin on the northwest corner of Jarry St. and Blvd St-Laurent Blvd. in Montreal. From Highway 40 take Blvd St-Laurent Sud and turn right on Jarry. 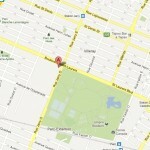 From the centre of Montreal, take St-Laurent north and turn left on Jarry. There is ample visitors’ parking immediately to the west of Maison Bellarmin. The Archive is easy to reach by public transportation. By Métro: Jarry Station (Orange Line). 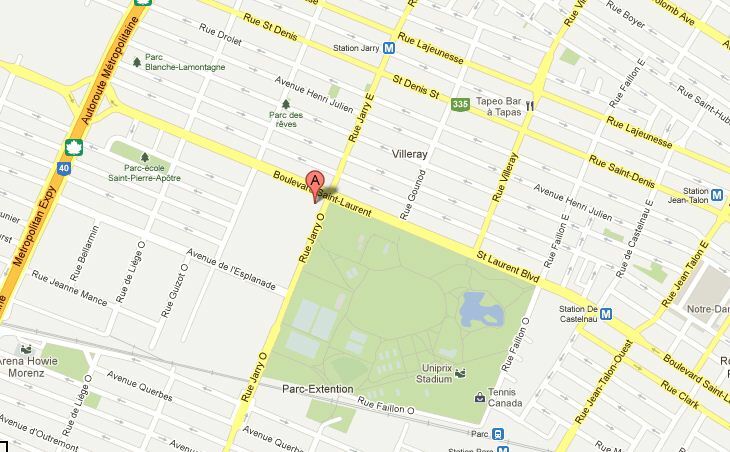 Maison Bellarmin is eight blocks west of the station; you can walk or take the 193 (Jarry) bus westbound. The northbound 55 (St-Laurent) bus travels directly from central Montreal to Jarry St. There are no hotels near Maison Bellarmin, but in central Montreal there is a wide selection of hotels and B&Bs. Among the more affordable are l’Hôtel de l’Institut ( http://www.ithq.qc.ca/en/portal/ ) and l’Abri du Voyageur (http://abri-voyageur.ca/ ). There is a good selection of reasonably priced restaurants for lunch (the Reading Room closes between noon and 1 p.m.) along Jarry St. east of Maison Bellarmin. To ensure the long-term preservation of archival documents, it is important to follow the rules listed below. Leave coats, parcels, handbags, backpacks, briefcases, and other similar belongings at the coat rack. Just keep what you need to take notes. Electronic devices are allowed. No food or beverages allowed. No documents are to be removed from the research area. Do not annotate or dirty documents. Use only one box at a time. Maintain order; do not mix or reclassify documents. Copying is done by the staff and within the limitations of the Copyright Act. We reserve the right to limit the number of copies to be made at one session. Report any accident or damage to a document to the staff immediately. Handle the enclosure or the container rather than the documents. Do not lean on documents or archives boxes. Do not place your note pad or electronic equipment on top of documents. Replace documents you are not using into file folders and boxes. Realign papers manually before returning the file folder to a box.